Diana and I both come from families of doctors, M.D.s in her case and Ph.D.s in mine, which probably explains why she knows how to dress a wound without flinching and I have a blackboard in my house. So of course we’ve dreamed of being addressed as “Dr.” like our fathers and sisters and having that kind of authority. The problem is, we like school, but not in that way. We really don’t want to put in that kind of time. And neither one of us has the fortitude for rotations or dissertations, so we’re left reconciling ourselves to lifelong inferiority complexes. Though I’m still holding out hope that somebody some day will confer an honorary doctorate to me just for bein’ me. 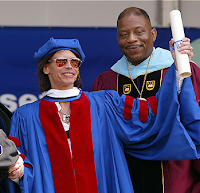 I mean, Steven Tyler got TWO degrees that way, and his greatest achievement in life might be teaching the world to tie scarves onto their mic stands. Perhaps disgraced South Korean curator and art history professor Shin Jeong-ah, 35, felt a similar pressure to be the ultimate authority when she faked her Yale doctorate to get a teaching post and embezzled museum funds, for which she was busted last year. The weirdest part of Shin’s story is that she survived the 1995 Sampoong department store collapse in Seoul that killed over 500 people. 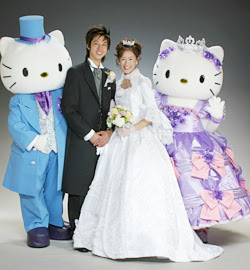 Much of the reporting on Shin is fixated on her being literally “buried” then and figuratively now. Obviously homegirl’s got some mental health issues (I hear my Dad’s voice saying, “Well, so did your aunt, and she still managed a Ph.D. in Chemistry“). Shin was sentenced Monday to 18 months in jail, and the sad twist is, like med school or a Ph.D. program, that’s a mandated amount of time that she can’t fake her way out of.